PETALING JAYA: As appearances go, Gan Ching Lai looks to all the world your typical Malaysian Chinese business owner. The 62-year old presides over Turbo-Mech Bhd, a supplier of rolling parts to the oil and gas industry that, despite its small market capitalisation of only RM68mil, is one of the highest dividend-yielding stocks on Bursa Malaysia. Based in Singapore but listed in Malaysia, Turbo-Mech sells rotating equipment such as pumps, compressors, and turbines as well as provides after-sales services. It has 11 offices across seven countries in South-East Asia. According to data from Bloomberg, Turbo-Mech has an indicative dividend yield of 16%, which is calculated by annualising the most recently announced dividend based on payment frequency and divided by the last known price. Defensive stocks such as telcos, breweries, and real estate investment trusts usually yield between 4% and 8% in dividends. Although ownership of Turbo-Mech is firmly in Gan’s hands, he is quick to disassociate himself from the dynastic style of management often assumed of family-run companies. “I’m on the board now but I will soon resign from my executive position. The chief executive officer will run the show. My family controls about 50% but I won’t get too involved in the operations. “My thinking the whole time has been to let the professionals run the company,” Gan explained in a recent interview with StarBiz. “Family-owned businesses tend to want to put their son or nephew in the company to look over people’s shoulders. “If you want to do that you’ll need many children. I have 11 offices. That means I need 11 daughters and sons,” he laughed. To Gan, it is more important to have good systems and strong internal controls. Nasaruddin Mohamed Ali, a mechanical engineer by training, helms Turbo-Mech’s day-to-day operations as chief executive officer. “He’s a brilliant guy,” Gan enthused, firing off Nasaruddin’s credentials. 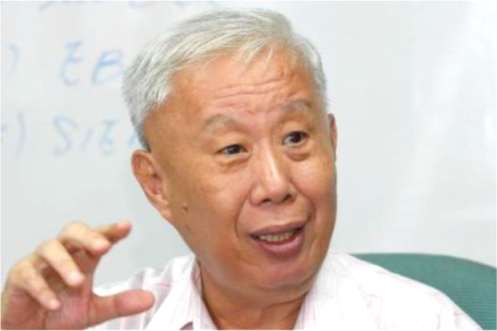 Gan’s son Kok Ten is the chief operating officer as well as alternate chairman and executive director. The company was listed in 2010 at 63 sen per share, raising RM11.38mil. It has not enlarged its share base of 108 million shares since. Gan, who got his start as a technician for the Public Works Department in the early 1970s, is well aware that Turbo-Mech’s shares have underperformed since its initial public offering (IPO), which he attributes to the stock’s small share base and lack of liquidity. Still, he has no intention of bringing in new investors or take on huge projects just to stir interest in the company. The counter closed Friday up a sen to 63 sen, which is at par with its IPO, on thin trade of 6,000 shares. Gan also believes Turbo-Mech’s dividend payout is sustainable. In 2010, the firm declared a maiden dividend per share of five sen, returning 55% of its net earnings to shareholders. This increased to 7.5 sen in 2011, but fell to five sen last year for a payout of 64% based on its earnings per share of 7.82 sen. In the fourth quarter of last year, the firm’s net profit was flattish at RM3.04mil versus RM3.07mil in the same period a year ago, while revenue dipped 10% to RM11.88mil. The full year saw its earnings decline 17% to RM8.44mil on the back of higher unrealised foreign exchange losses. Its revenue was marginally lower at RM45.98mil. “Our dividends will depend on how much we need for capital expenses,” Gan explained. But, he asserted, “the extra cash belongs to shareholders”. Turbo-Mech is cash-rich with zero debt. Its clients, which consist of oil majors and national oil companies, are good paymasters, according to Gan. As at Dec 31, the engineering services firm had cash and equivalents totalling RM31.82mil.